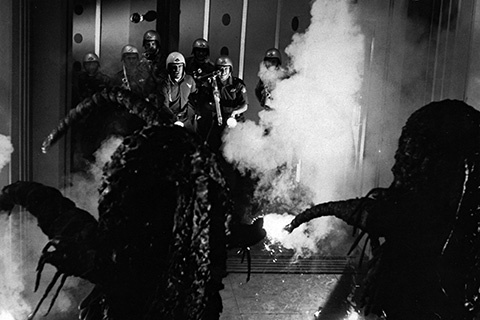 As the 1960s drew to a close, so did what could be called the golden era of tokusatsu special effects cinema. The popularity of television was severely eating into cinema attendance figures, meaning that the production of large-scale special effects extravaganzas involving kaiju running amok or space missions to other worlds (the focus of this particular writing) were becoming increasingly uneconomical ventures. The studio system was beginning to run out of steam. Those that weren't heading towards the financial wayside were busy retooling themselves to cater towards younger, hipper audiences by making lower-budget films dealing with contemporary and increasingly edgier issues. This, of course, didn't leave much room for the old-fashioned space yarn. However, maybe this was for the best. At the end of Part 1 of this essay, it was suggested that this type of film had reached an impasse; at best regurgitating storylines from previous entries and, at worst, using stock footage to cheaply bulk up the running time by simply showing the same old effects sequences. For tokusatsu to survive, it was going to need to think outside the box, or rather, outside the Japanese film industry, which had been stubbornly self-sufficient up until that point. Considering the amount of interaction occurring between Japanese studios and U.S. distribution companies over the preceding decade, it was only a matter of time before a fully-fledged co-production was on the cards. Space-set science fiction/horror The Green Slime (1968) was one of the first of these co-productions; a joint venture between MGM in the U.S., who provided the money and script, and Toei, who provided the crew and their shooting facilities in Tokyo. It was a business model that potentially made a lot of sense: utilising the genre expertise of the Japanese to realise a project sympathetic to American sensibilities, without the need to dub or re-edit, or put up anymore with questionable inclusions – lest we forget the "Wally the Walrus" incident from Gorath (1962). An all-western cast was also an added bonus, meaning that the film could be better integrated into mainstream circulation with other U.S. releases. However, despite this landmark union, the backstory for The Green Slime actually originates in Italy, where MGM also had dealings. A few years previous, the studio had contracted Italian filmmaker Antonio Margheriti to produce what was originally intended to be a series of four TV movies, whose narratives all revolved around the adventures of a space station called Gamma One. One of the few Italian directors to frequently deal with U.S. studios, Margheriti – perhaps better known by his more American-friendly pseudonym, Anthony M. Dawson – was a prolific maker of genre movies, including spaghetti westerns, peplum (Italian sword-and-sandal epics), war dramas, horror and, of course, science fiction. His aptitude towards the space adventure was demonstrated by producing two of Italy's earliest forays in the sub-genre: Assignment: Outer Space (1960) and Battle of the Worlds (1961). Margheriti's Gamma One films for MGM – consisting of Wild, Wild Planet, War of the Planets, War Between the Planets and Snow Devils (all 1965) – were produced simultaneously over the span of three months. With only two weeks of shooting time allotted to each production, Margheriti frequently bounced between all four shooting schedules daily to maximise the use of particular actors, costumes, sets, even camera angles. To keep things organised, he employed a system that utilised four colour-coded clapper boards to represent each film [ 1 ]. Impressed with Margheriti's results, MGM released the Gamma One quartet theatrically before going to the TV market. Gamma One producers Ivan Reiner and Walter Manley (the man behind the U.S. iterations of the Super Giant films) were keen to perpetuate this model by making The Green Slime as an unofficial fifth entry in the series. 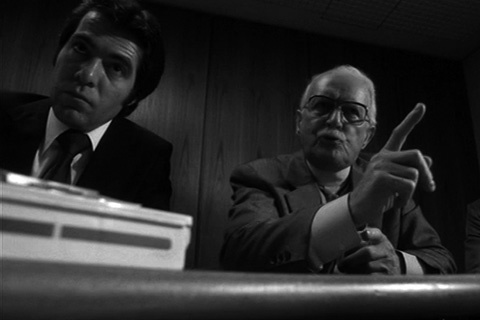 However, the only link it has to its Italian predecessors is the name of the space station – changed slightly to Gamma Three – which features a similar design to the one seen in Margheriti's films. A completely new cast was assembled, fronted by American TV star Robert Horton (Alfred Hitchcock Presents (1956-60)), Italian glamour goddess Luciana Paluzzi (Thunderball (1965)) and prolific American supporting actor Richard Jaeckel (The Dirty Dozen (1967)). Minor roles were 'comprised of various amateur and semi-professional Caucasian actors living in Japan' [ 2 ]. Directing duties were handed to Kinji Fukasaku, who was in the process of making a name for himself at Toei, and had just had a bona-fide hit with the Edogawa Rampo-inspired Black Lizard (1968) whilst moonlighting for Shochiku. Indeed, a campy sci-fi romp like The Green Slime may seem a bizarre choice of project for those who are only familiar with Fukasaku's infamous Battle Royale (2000) or his grisly, criminal-centric jitsuroku (true account) films that exploded in popularity during the 1970s. Nevertheless, his involvement in The Green Slime 'caused Fukasaku considerable embarrassment in later years' [ 3 ]. The Green Slime starts with Commander Jack Rankin (Horton) being pulled out of retirement and assigned a mission that is pretty standard by now: stop a wayward asteroid that's on a collision course with Earth. He docks at his former command post, the space station Gamma Three, to prepare for the task at hand; re-acquainting himself with former comrade and best friend Commander Vince Elliott (Jaeckel), who is now in charge, and old love-interest Dr. Lisa Benson (Paluzzi), who is now engaged to Elliott. Rankin and a small team fly out to the asteroid with a bomb and drilling equipment. They succeed in destroying it, but one of the team unknowingly brings back a sample of slimy residue that they encountered on the asteroid surface in abundance. Attaching itself surreptitiously to the crew member's space suit, the slime survives decontamination and begins to grow, evolving into a green, diminutive, one-eyed teratoid with long, electrified tentacles. They begin to multiply and run amok on the station, creating a power-struggle between Rankin and Elliott. The former, though retired, still has the instinct to lead, whereas the latter, whilst technically in command, doesn't have the mettle to resolve the crisis (in the eyes of Rankin at least). So Rankin, Elliott and Benson must ignore their personal tensions and work together in rescuing Gamma Three from the sentient green slime. Of course, The Green Slime is not to be taken seriously and is arguably a camp classic waiting to be re-discovered. Everything about the production is wantonly silly, not least the titular alien creatures which squeak and shriek like high-pitched, un-oiled door hinges, hobble about due to their short legs and flay their tentacle-arms wildly, electrocuting crew members unconvincingly. More often than not, they operate in plain sight and are not particularly menacing, especially when you consider that most areas of the space station are brightly lit; looking flat and non-threatening. With better creature design, a bit more shadow in the sets and a more earnest execution, The Green Slime could have easily been a noteworthy progenitor to Ridley Scott's brooding sci-fi/horror Alien (1979). While there are certainly some plot similarities, their respective tones couldn't be further apart. In its opening reels, the film also prefigures elements of Michael Bay's star-studded, disaster epic Armageddon (1998), which sees a mixed team of astronauts and deep-sea oil drillers sent to stop a comet that will collide with Earth. Using advanced drilling equipment, they plan on burying a nuclear weapon that will cause the comet to break away into two pieces that will avoid the planet. 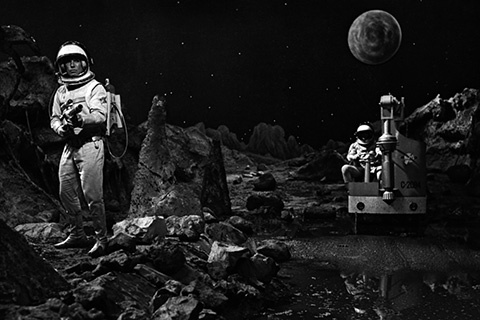 The Green Slime starts with this same basic scenario, except their drilling equipment doesn't look particularly advanced – a flimsy looking moon buggy with a large drill bit attached to a movable arm. Likewise, The Green Slime wasn't particularly well received when it finally reached U.S. theatres in the summer of 1969, especially in the aftermath of Stanley Kubrick's 2001: A Space Odyssey (1968), which had been on release for a solid year before Fukasaku's film reared its bargain-basement head. The film was also dubbed into Japanese (an interesting role reversal) and released in Japan by the end of 1968. The Japanese version is almost 20 minutes shorter than the U.S. cut, and is, unsurprisingly, a far more brisk affair. Another major difference between the two versions is the theme music. The Japanese cut utilises a big, brassy fanfare by Toei composer Toshiaki Tsushima over its opening credits sequence, a portentous march that's typically heard in tokusatsu movies. The U.S. version features a misplaced novelty psychedelic-rock number composed by Charles Fox, and sung by Richard Delvy, which certainly plays up the camper aspects of the production, and perhaps didn't do the film any favours after Space Odyssey showcased the technical and artistic integrity the sub-genre was capable of. Bizarrely, the song was released as a promotional single. The 1960s also saw major steps taken towards the industrialisation of anime and it is interesting to note how most of these early pioneers, both in terms of shaping the fledgling industry and penetrating the U.S. television market, have involved adventures in space to varying degrees. One of the earliest and most influential anime series, Mighty Atom (Tetsuwan Atomu, 1963-66) – better known by its American name, Astro Boy – was innovative on a number of fronts. It was the first series to crystallise the style of what viewers now typically expect from the anime medium, the first to be broadcast oversees (albeit as a slightly altered English version) and perhaps the first major Japanese animated pop-culture icon, which invariably yielded a highly lucrative and much-loved franchise. Like many anime, Astro Boy is the kinetic adaptation of a comic book, created by “God of Manga” Osamu Tezuka in the early 1950s. Like Godzilla, Mighty Atom became a pop-culture paragon of Japan's post-atomic concerns. But whereas Godzilla focused on destruction and fear, Tezuka's intentions were far more optimistic. He imagined it was possible that 'an “Atom continent” might exist where atomic power was used for peaceful purposes.' [ 4 ] After testing these ideas initially within a preceding manga, the less popular Ambassador Atom, Mighty Atom streamlined Tezuka's vision of a peaceful future enriched by technology and became an unprecedented success, leading to a live-action TV series (1959-60) consisting of 65 weekly episodes. 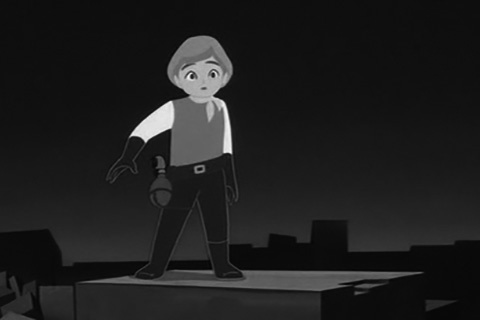 Not as well known as the anime incarnations that followed it, the live-action show, in many ways, resembled a more child-friendly version of Super Giant, with the titular hero flying off (with the assistance of his rocket feet) to save the world from various threats, sometimes having to visit distant moons and planets. But unlike Super Giant, it wasn't reassembled and sold to U.S. television. Tezuka's story starts with the grieving head of the Institute of Science building a robotic version of his son, Tobio, who was killed in a car accident. Disillusioned when he realises that the robot, Atom (or Astro in the U.S. version), will never be able to live the normal life of a child and grow up, the professor sells it to the circus, where it is made to fight other robots at the behest of cruel ringmaster Hamegg (or Cacciatore). After a law is passed decreeing that all robots are now free, Atom is placed into the care of Ochanomizu (Elefun), the new head of the Institute of Science. Becoming his adoptive father of sorts, he encourages the robot, who is able to feel emotion, to be a champion for peace in the universe. Ochanomizu later constructs a robot mother and father for Atom. For the anime series, 193 episodes were made, with 104 of these adapted into English (and re-christened Astro Boy) by American TV producer Fred Ladd. Ladd had been commissioned by U.S. broadcast network NBC after one of its executives happened upon the show whilst watching TV in his Tokyo hotel room [ 5 ]. 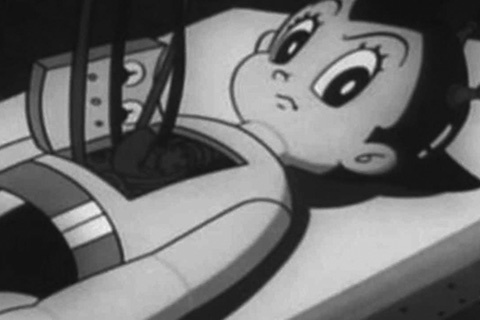 The order of the U.S. episodes occasionally differ from those aired in Japan, yet Astro Boy's first sojourn into space came as early as the third instalment for both incarnations, Expedition to Mars. After the show's narrator ponders the possibility of life on other planets, which segues into a montage of various comical alien species going about their (ab)normal activities (an excellent showcase for Tezuka's quirky visual humour), we find out that the Institute of Interplanetary Affairs wants Astro Boy to lead an expedition to Mars. They wish to go because the crew of a previous expedition decided to mutiny and was abandoned on the planet. Captain Derring, Astro Boy's chief officer, dislikes the idea of taking orders from a robot and seeks to undermine its command during the mission. Tensions continue to mount when a stowaway, the young daughter of Captain Minter (who led the mutiny during the first expedition) is discovered seconds before take-off. Astro Boy learns that Minter wasn't a traitor and instead was trying to convince his superiors to build a fortress on Mars to defend mankind against alien invaders. But when he was ridiculed, he decided to go AWOL and build the fortress himself. Derring is also dismissive, and is able to curry enough favour with his shipmates to relieve Astro Boy of his command. But when Captain Minter's prediction comes true, Astro Boy must save Minter from Derring, and then save Derring and the rebellious crew from strange flying aliens. Other Astro Boy space-based adventures include Strange Voyage (Japanese episode #10, U.S. episode #11), in which Astro Boy ends up on an asteroid to capture a notorious criminal, only for the presence of diamonds to complicate matters; Satellite R-45 (ep. #21), where Astro Boy must prevent a master smuggler from trying to take over the titular space station and turning it into a hub for transporting stolen goods; and Shipwreck in Space (ep. #71 / #62), which sees Astro Boy trapped on the broken-down space ship of the Ponkotsu Gang. Space-centric episodes became a frequent staple towards the end of the U.S. run. Examples include: The Space Vikings (#57), The Great Rocket Robbery (#87), Contest in Space (#88) and Space Prisoners (#103). Astro Boy often had to contend with visitors from other worlds too, as demonstrated in Attack from Space (#62) and The Mighty Mite from Ursa Minor (#95). The popularity of Mighty Atom / Astro Boy was such that a variety of highly similar anime series were quickly developed by rival companies. Planet Boy Papi (Yusei Shonen Papi, 1965-66), anglicised as Prince Planet, was perhaps the most well-known of these. Developed by Tele-Cartoon Japan, who later changed their name to Eiken, Prince Planet (not to be confused with Toei's tokusatsu series Planet Prince (1958-59)) was based on a manga by Hideoki Inoue. The Galactic Council of Planets appoints an alien ambassador, a young prince from the planet Radion, to travel to Earth and end mankind's primal penchants towards war and suffering (much like Super Giant). The Prince, known to the people he befriends as Bobby, possesses a pendant that grants him special powers such as super strength and the ability to fly. Like Tezuka's creation, the Prince earnestly fights criminals and interstellar injustice. American International Television ported over all 52 episodes to foreign television screens. However, Prince Planet failed to garner the popularity or staying power of Astro Boy. Part of the problem lies in the fact that the English-dubbed version had to edit out some of the more violent content from the show to appease young U.S. audiences. The Prince had a tendency to obliterate his foes with fatal zappings from his pendent, which was all too obvious even with the actual deaths removed. On the other hand, Astro Boy never killed any of his enemies, and the show's general warmth and visual humour automatically made it an endearing hit with children. Another pretender to the Astro Boy throne, Space Ace (1965-66), also slipped into obscurity. The series concerns a childlike alien crash-landing on Earth after deviating from a space convoy of fellow aliens, searching for an uninhabited planet to rebuild their ruined society. Discovered by Professor Tatsunoko, the alien (called Ace) can perform various feats that are virtually a carbon copy of Astro Boy and Prince Planet (super strength, flying, etc.) and goes about defending the Earth from interplanetary invaders. But despite its visual similarities (the design of the title character in particular), Space Ace failed to sell to the U.S., even though the creators went to the trouble of remaking the first episode in colour for added incentive [ 6 ]. But although Astro Boy had opened the floodgates for many science fiction and fantasy anime series to be broadcast on foreign televisions, theatrical release proved elusive. This may be because the anime that was being picked up was aimed almost exclusively at the child demographic, and pre-blockbuster American cinema of the 1960s still tended to favour older audiences. However, Toei's animation division made an attempt to break into the international theatrical market with a calculated anime feature that heavily played down its oriental heritage: Gulliver's Travels Beyond the Moon (Gariba no Uchu Ryoko, 1965). As you may gleam from the title, Gulliver's Travels Beyond the Moon (also known as Space Gulliver) is a very loose, very distant sequel-of-sorts to Jonathan Swift's classic novel Gulliver's Travels. In this story, written by Battle in Outer Space (1959) scribe Shinichi Sekizawa, Gulliver is an elderly scientist making the finishing touches to a spacecraft with which he plans to explore the Milky Way. Joined by a homeless boy, Ricky, along with a stray puppy, a clockwork toy soldier and a crow (all of whom can talk), Gulliver travels throughout the vastness of space. Encountering a Reverse Time Nebula, they are transformed into younger versions of themselves before saving a kingdom of dolls from the evil Queen of the Purple Planet and her army of robots. Toei departed from their usual animation style and instead modelled the film after the highly successful formula of Disney animated productions, including happy musical numbers (five in total). Released in the U.S. in 1966, Gulliver's Travels Beyond the Moon, despite its American sycophantisms, proved no more popular than any of Toei's previous features and was regarded as a financial disappointment. It hasn't faired too well critically either. Animation scholar Fred Patten felt that 'the attempt to mix sci-fi with talking dolls would probably be considered by anyone over 10 as an insult to their intelligence' [ 7 ]. The failure of Gulliver's Travels Beyond the Moon severely discouraged Toei Animation and other anime studios from releasing any of their features theatrically in the U.S. for over a decade. But by the late 70s, something happened in science fiction cinema that would change everything. 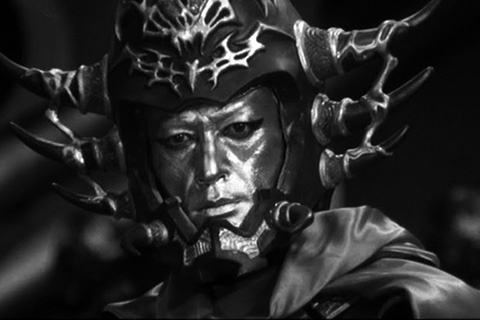 Tokusatsu cinema was in its death-throes throughout the 1970s. Pioneering special effects director Eiji Tsuburaya had passed away in 1970, and Ishiro Honda retired from feature film directing in 1975 [ 8 ]. Thus it's easy to see why Jun Fukuda's interplanetary adventure The War in Space (Wakusei Daisenso: Za uo in Supesu, 1977) has been viewed as 'Toho's last "hurrah" for their special effects department' [ 9 ]. Sadly it does not represent the best of send-offs, as the film was rushed into production in the wake of a certain cinematic phenomenon happening in America: George Lucas's Star Wars (1977). Star Wars, of course, is a film that needs little introduction, and its impact on cinema and global popular culture has been written about in more depth elsewhere. What does need to be said, however, is that it was a film whose reputation preceded it, even in the months immediately after its initial U.S. release in May 1977. Toho were quick to catch on to the new potential boom in the market, releasing The War in Space as early as December – a full six months before Lucas's film made it into Japanese cinemas during summer 1978. But perhaps Toho was a little too eager, as The War in Space amounts to little more than a grab bag of elements from their previous special effects extravaganzas. The plot is essentially a retread of Battle in Outer Space, except this time the alien invaders are from Venus instead of the Moon [ 10 ]. 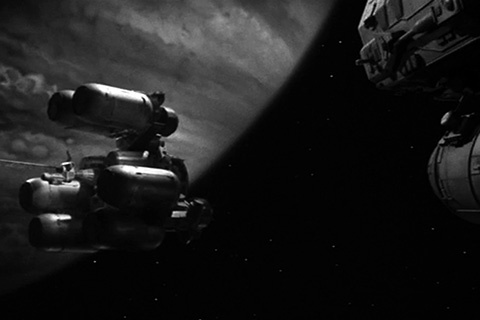 It also recycles elements from Honda's undersea adventure Atragon (1963), with the spacecraft in The War in Space – the Gohten – strongly resembling that of the submarine in the earlier film. Also, in a move that was arguably the downfall of these types of films during the 60s, The War in Space relies heavily on stock footage from past Toho efforts, including The Last War (Sekai Daisenso, 1961); Japan Sinks (Nippon Chinbotsu, 1973), which was released in the U.S. under the name Tidal Wave; and the controversial (and now somewhat rare) The Last Days of Planet Earth, aka Prophecies of Nostradamus or Catastrophe: 1999 (Nosutoradamusu no Daiyogen, 1974) [ 11 ]. So if Toho's plan to capitalise on Star Wars was to rip off its own back catalogue, Toei deemed it a far more logical strategy to rip off Star Wars itself. Their film, Message From Space (Uchu kara no Messeji, 1978), not only borrows similar plot elements, settings and aesthetic choices (including the typeface design of the title), but also mimics the music cues from John Williams's iconic score for Lucas's film. It is, in every way, an unabashed copy. Then again, Star Wars owes more than a little debt to Japanese cinema itself. Over the years, Lucas has openly admitted the influence of Japanese films such as Kurosawa's The Hidden Fortress (1958) and Yojimbo (1961) on numerous occasions. However, Honda's The Mysterians also appears to have been a source of inspiration. The high-angle shot depicting a busy intersection within the Mysterian base where the alien invaders run about in the midst of an attack is mirrored by similar scenes of panic within the Death Star during the final confrontation. And there is a scene where a character evades a pair of alien sentries in a corridor that is redolent of the scene where Obi-Wan Kenobi (Alec Guinness) does something similar after deactivating the Death Star's tractor beam. Message From Space starts by introducing the oppressed people of Jillucia. They are being hunted into extinction by the Gavanas Empire: metal-skinned warriors lead by the evil Rockseia (Mikio Narita), who has turned the Jullucian's home planet into a military fortress. The Julliucian's final hope is to scatter eight Liabe seeds (ostensibly glowing walnuts) across the cosmos. Princess Emeralida (Etsuko Shiomi) volunteers to follow the seeds, which will mysteriously gravitate towards those able to save them from their plight. The seeds ultimately select two undisciplined "roughriders," Shiro (Hiroyuki Sanada) and Aaron (Phillip Casnoff); their friend Meia (Peggy Lee Brennan), who is from a privileged, aristocratic background; small-time hustler Jack (Masazumi Okabe); disillusioned General Garuda (Vic Marrow), along with his diminutive robot servant Beba-2; Urrocco (Makoto Sato), the princess' bodyguard; and the outcast Prince Hans (Sonny Chiba), the rightful heir to the Gavanas throne. Gradually assembling over the course of the film, this ragtag group set out to stop Rockseia, whose attentions have now turned towards conquering Earth. Whatever embarrassment director Kinji Fukasaku subsequently had over making The Green Slime a decade before evidently wasn't in effect when he signed on to helm Message From Space. Perhaps Toei had forced his hand. Then again, Fukasaku was at a career highpoint. He had directed the groundbreaking yakuza film Battles Without Honor and Humanity (Jingi Naki Tatakai, 1973) for Toei, which quickly became the first of a five-part theatrical series known as The Yakuza Papers on account of its popularity. Toei immediately wanted to start another series, christening it New Battles Without Honor and Humanity (Shin Jingi Naki Tatakai, 1974). Fukasaku directed three of these before deciding that the idea had run its course, turning Toei down when they asked for more to be made [ 12 ]. However, he remained active in the genre for the remainder of the 70s, producing the likes of Graveyard of Honor (Jingi no Hakaba, 1975) and State Police vs. Organised Crime, aka Cops vs. Thugs (Kenkei tai Soshiki Boryoku, 1975). It seems strange, then, that Fukasaku's most revered and influential period of work was bookended by two space movies, which often get downplayed when the director's career is discussed. The first, The Green Slime, was described by Variety at the time as 'a poor man's version of 2001' [ 13 ]. Message From Space, however, actually fared better than one would expect. Its success in Japan led to the commission of a 27-episode spin-off television series called Message From Space: Galactic Wars (Uchu kara no Messeji: Ginga Taisen, 1978-79). This was inevitably boiled down into a compilation movie, released in English-speaking territories as Swords of the Space Ark (1981). On the other hand, maybe Fukasaku was the right man for Message From Space after all. Having directed The Green Slime as well as the attack sequences for the Pearl Harbor dramatisation Tora Tora Tora (1970), he was a seasoned handler of sizable international co-productions and a multi-ethnic cast; a skill set few other Japanese directors had at the time (only those working in TV advertising with foreign stars had comparable experience). Fukasaku would go on to direct Virus (1980), another large-scale science fiction production with an international cast. Because of Star Wars, science fiction was a bankable genre again and film industries around the world were making their own copycat versions à la Message From Space [ 14 ]. In Japan, it even contributed toward the resurrection of Daiei, which had declared bankruptcy at the start of the decade. Although the studio was revived in 1974 by newspaper publishing magnate Yasuyoshi Tokuma [ 15 ], the studio had only produced a handful of films over the last few years. But in the wake of Star Wars, Daiei decided to properly throw its hat in the ring with the return of one of its most famous franchises. Although it hadn't been on screens since 1971's Gamera Vs. Ziga, Daiei brought Gamera back for Gamera: Super Monster (1980), which saw the popular kaiju take on an alien invasion. The invaders approach the Earth in a spacecraft that looks very similar to the Imperial Star Destroyer from Star Wars. It's even introduced in the same way: starting with a peaceful backdrop of distant stars on infinite black before the nose of the craft appears overhead, revealing the whole underside of the vessel; except it's not pursuing anything in this particular sequence. But when Earth's resident group of superheroes are no match for the enemy, it's up to Gamera to save the day, which is achieved by fighting all the kaiju foes from previous Gamera films. Indeed, as had been the case for the last few films in the franchise, approximately a third of Gamera: Super Monster's runtime is stock footage. It would be fifteen years before Gamera would grace the big screen again in the more serious-minded Gamera: Guardian of the Galaxy (1995). The success of Star Wars, not just with children but adults as well, also opened another, broader window of opportunity for anime exports. Previous anime successes, namely Astro Boy, had been squarely aimed at children and complemented America's then perception of the medium as a thing for kids. While attending the 1977 MIP-TV (Marché International de Programmes) in Cannes, American TV producer Sandy Frank, the man responsible for the U.S. iterations of the Gamera films, discovered a small trade stall for Tatsunoko Production. They were showcasing their latest anime success: Kagaku Ninjatai Gatchaman, better known simply as Gatchaman (1972-74) [ 16 ]. The show consists of a team of five superhero ninja who oppose Galactor, a terrorist organisation of super villains bent on taking control of Earth's natural resources. Using their supersonic plane, the God Phoenix, the team are able to partake in minor space travel if required. Convinced that he had discovered an animated successor to Star Wars, Frank snapped up the rights. However, he excessively revised the format of the show to satisfy network censors, moving the setting to a distant planet and removing most of the violence and darker themes that would often present themselves. These were curtailed by including new animated segments featuring a talking droid that sugar-coated the more serious elements, or changed the meaning of them entirely. Episodes were effectively rewritten as 'Frank's staff could neither read nor understand Japanese, so they spent painstaking hours in the studio matching English words to the mouth movements of the cartoon characters.' [ 17 ] To emphasise the outer-space/distant planet setting, the show's name was changed to Battle of the Planets, which originally ran from 1978 to 1985. The show was squarely aimed at the juvenile/young adolescent market. Many other anime properties with an outer-space setting followed suit at the turn of the decade. Most notably Space Battleship Yamato (1974-75), a popular space opera series which re-imagined the famous Japanese Second World War battleship Yamato as a spacecraft, built as a last-ditch effort to save mankind from a hostile alien race that have rendered the surface of the Earth uninhabitable. The Yamato and her crew go on a mission to retrieve the Cosmo Cleaner-D, which can cleanse the Earth of radioactive damage, from a distant, friendly planet. All the while, they are pursued by the enemy. Space Battleship Yamato, represents somewhat of a turning point in anime perception, as its more complex mythology and storylines, not to mention its frequent allusions to the war, began to attract older audiences [ 18 ]. Its eventual popularity – post Star Wars fever – was such that a particular arc of the series was re-edited into a theatrical feature of the same name in 1977, followed swiftly by an all-new feature, Farewell to Space Battleship Yamato (1978), which concluded the story. However, this didn't stop the creation of a second series, which reworked and expanded the narrative of the previous film to have a more open, upbeat ending. A raft of other TV anime movies followed, as well as a third series in 1980. Space Battleship Yamato was rebranded as Star Blazers and reached American televisions in 1979. Like Gatchaman, certain elements were toned down at the behest of network executives. 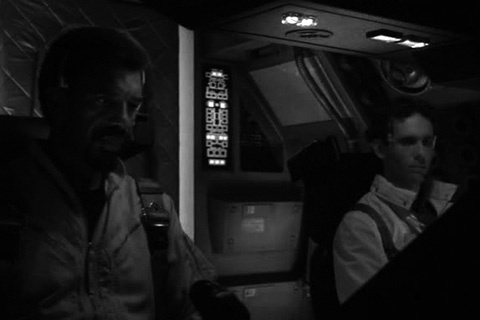 Names of characters were also changed as well as the formerly titular spacecraft, re-christening it as the Argo. In the wake of Star Wars and Space Battleship Yamato, a litany of other anime films and series featuring space settings continued to surface. These included, among many others: Gundam (1979-80), a space opera series that also pioneered the "Real Robot" era of the mecha sub-genre [ 19 ]; Galaxy Express 999 (1978-81) and its distant companion piece-of-sorts Captain Harlock (1978); and Macross (1982), a series which was altered and rebranded as Robotech upon reaching the U.S. in 1985. Although the major breakthrough for anime in western markets – Katsuhiro Otomo's Akira (1988) – was still a few years away, these releases certainly laid the groundwork. At the start of the 1980s, producing large-scale films was still increasingly troublesome. Even a filmmaker as senior and internationally recognised as Akira Kurosawa felt the pinch, requiring the help of George Lucas and Francis Ford Coppola to secure additional funding from 20th Century Fox to finish his period epic Kagemusha (1980) when Toho was unable to foot the bill on its own. Kurosawa also resorted to shooting adverts for Suntory Whiskey on the set for extra finance/publicity as channels within the Japanese film industry continued to dry up. Kagemusha went on to win the Palme d'Or at the 1980 Cannes Film Festival (a victory shared with Bob Fosse's All That Jazz (1979)) and was a domestic hit. However, this success hardly reversed the downturn of the industry. With this borne in mind, the existence of the Toho-produced Sayonara Jupiter (1984) becomes all the more baffling and miraculous. One of the most ambitious Japanese science fiction productions ever undertaken, Sayonara Jupiter is a sprawling galactic epic the likes of which the industry had never produced before, or arguably since. The brainchild of Sakyo Komatsu, Japan's most prominent and respected science fiction novelist, the idea for the film dates as far back as September 1977. Tomoyuki Tanaka, who by this point was CEO of Toho, initially approached Komatsu to develop a space movie concept that could be used to cash in on the success of Star Wars. Komatsu had longstanding ties with Toho, as the studio had produced the film adaptation of his bestseller Japan Sinks (and would go on to adapt his book Virus). However, he was reticent to merely conceive a clone of Lucas's film, opting to spend time on creating an original work instead - which may have ultimately lead to Toho's decision to hastily green-light The War in Space. Inspired by NASA's Voyager Program, where two un-manned probes were sent into space to study Jupiter and Saturn earlier that year, Komatsu began to muse on a narrative revolving around the gas giant, enlisting the assistance of science fiction film critic Kenji Iguchi to bounce ideas [ 20 ]. Although a big-screen iteration of the story was always the writer's goal, Komatsu's efforts also yielded a novel published in 1982. In the spring of 1983, Toho began film production in earnest, with Koji Hashimoto assigned to direct. Having worked as an assistant director for various tokusatsu productions throughout the 60s and 70s, Sayonara Jupiter was Hashimoto's debut as a fully-fledged director. However, he was not alone. Rather than abandoning his creation to the tumultuous quagmire of the filmmaking process, Komatsu was also heavily involved in day-to-day production decisions, earning him the unusual credit of "executive director." Set in the 22nd century, Sayonara Jupiter depicts an era where much of the solar system has been colonised. The Jupiter Solarisation Project has been established to turn Jupiter into a new sun, thereby providing energy to humankind's far-flung outposts. Of course, not everyone is comfortable with this proposal of planetary genocide, with the Jupiter Church performing anti-solarisation demonstrations and being a general nuisance to the cause. However, a newly discovered black hole threatens the existence of Earth, so Dr. Eiji Honda (Tomokazu Miura) – surely a loving homage to Eiji Tsuburaya and Ishiro Honda – and his colleagues devise a new plan where Jupiter will be sacrificed in the hope that it will adjust the black hole's trajectory. By avoiding the archetypal fantasy of Star Wars, Komatsu's story inadvertently draws many comparisons with the 2001: A Space Odyssey sequel, 2010: The Year We Make Contact (1984), which was being produced concurrently by Hollywood. Both films deal with the idea of Jupiter turning into a new star, with 2010 being based on Arthur C. Clarke's follow-up novel 2010: Odyssey Two (1982). Both Clarke's and Komatsu's books were published the same year, with the film adaptation of Sayonara Jupiter making it into Japanese cinemas months before 2010: The Year We Make Contact was released in the U.S., rendering any accusations of copying or ripping off somewhat moot. However, it's likely there was a competitive element in seeing who could finish their production to the highest standard first. Komatsu and his army of special effects technicians were not content to rest on the laurels of the studio's illustrious past and were keen to bring their film in line with the technological advancements pioneered by Star Wars. For sequences involving spacecraft ambling through the cosmos, Komatsu insisted that suspending the models with wires – the way those scenes had been achieved in the past – was not an option. To film these scenes, the production acquired the Dykstraflex, a motion control camera system first developed by John Dykstra in 1976 to film similar scenes in Star Wars. Programming the movements one wishes to have for a given shot, the Dykstraflex can repeat that motion again and again, allowing special effects crews to photograph individual elements of the shot – background, model spacecraft, etc. – and then composite them together later to create the completed effect. Sayonara Jupiter was the first Japanese production to employ such a process, in a bid to give the Japanese sci-fi film a much-needed technological revamp. Although much time and expertise was dedicated to the technical aspects of the production, it appears that the narrative doesn't receive the same amount of attention, as Sayonara Jupiter struggles to keep its many story strands in order. 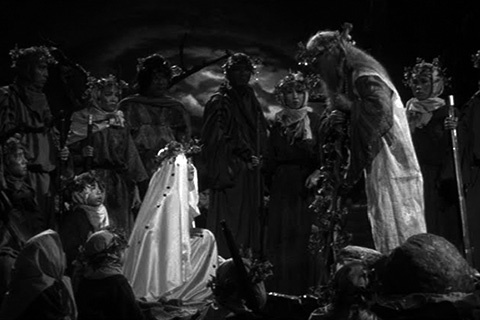 Some scenes are bogged down in copious mumbo-jumbo, whilst other elements are barely developed. Case in point: the "Jupiter Ghost," a mysterious entity – part giant sentient organism, part space vessel – that aimlessly galavants amid the storms in the planet's Great Red Spot. Once established, its presence in the story is never really explained or taken advantage of [ 21 ]. Despite being presided over by the story's creator, the two-hours plus film can't quite boil down all the elements of Komatsu's gargantuan source material, which was published as two volumes. With this in mind, the amount of time dedicated to an Earth-bound subplot involving the Jupiter Church, who live in an idyllic, beach-based commune (shot on Okinawa), and their mascot dolphin named Jupiter is puzzling. Interludes where Jupiter Church leader Peter (Paul Tagawa) whips out his acoustic guitar to sing songs about how pleasant the world is, coupled with montages of wildlife frolicking about and enjoying their natural surroundings, feel like they're from a different film altogether. The motivation behind the Jupiter Church is generally questionable. They clearly love what Earth has to offer, but are happy to see that be destroyed, along with themselves and billions more, if it means that Jupiter is not sacrificed to deflect the black hole. But even though the reach of Sayonara Jupiter exceeds its grasp, its aspirations are commendable. A zero-gravity love scene between Miura and former flame-turned-Jupiter Church activist Maria (Dangely Diane) is another particularly impressive special effect, although the prolonged sight of two naked people dreamily fondling each other whilst floating through the cosmos can be chuckle-inducing. The film also utilises a huge, multilingual cast. Characters wear a universal translating button, resulting in conversations that often mix Japanese, English, French and German depending on who's speaking, which is interesting to see play out. The production sought the talents of many French, German and Canadian actors, however, many of the minor English-speaking roles seem to be performed by amateurs or semi-professionals, which occasionally stand out as being particularly awkward. As was the case with The Green Slime, they were most likely expatriates living in Japan. For all its mistakes and cheesy melodrama (of which there is a lot), Sayonara Jupiter is strangely endearing nonetheless and gave the sub-genre the technical revamp it so sorely needed to continue being relevant. The film, while quite successful, came and went without much staying power. Interestingly, it never saw a U.S. release, which partly explains its obscurity. Its presence is barely a footnote in Western understanding of the long and turbulent history of Japanese genre cinema. As the 1980s progressed, Japan's interest in science fiction shifted away from space operas and began to concentrate on other sub-genres, particularly the mecha genre as well as the newly emerging cyberpunk movement. Aside from episodes of the Tsuburaya Productions series Star Wolf (Sutaurufu, 1978) being made into two U.S. TV movies, Fugitive Alien (1986) and Star Force: Fugitive Alien 2 (1987), both Johnny-come-latelies to the Star Wars party, the space movie was neglected [ 22 ]. Space, however, remained a popular backdrop for anime during the 1990s and 2000s, ranging in a variety of styles and tones from the breezy, genre mishmash of Cowboy Bebop (1998-99) to the more scientifically minded Planetes (2003-04). However, the Japanese space opera seems to be experiencing a small renaissance in recent years, as big-screen outings of popular anime from the 70s and 80s are becoming a blockbuster trend. First there was a live-action adaptation of Space Battleship Yamato (2010), which heavily re-configures the dynamic from the original anime show, even to the point of swapping the genders of some of the main characters. 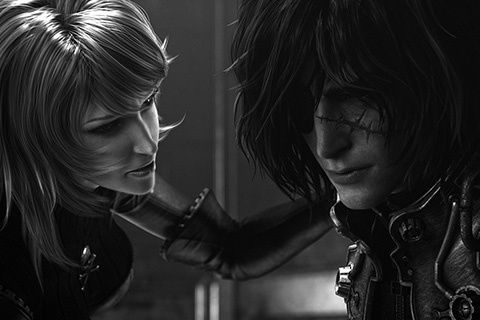 In 2013, there was the computer-animated feature Space Pirate Captain Harlock and the live-action Gatchaman. All of these projects have commanded large budgets (by Japanese standards at least). Space Battleship Yamato reportedly cost $23.9 million [ 23 ], whereas Space Pirate Captain Harlock cost in excess of $30 million [ 24 ]. And at the forefront of all this is, of course, Astro Boy, who received a big budget, computer-animated release in the form of Astro Boy (2009), a co-production between Tezuka Productions in Japan and Imagi Animation Studios in Hong Kong. It's interesting to see the industry starting to have more confidence in larger budget productions. However, similar to Hollywood's over-reliance of previously existing properties (particularly comic books and graphic novels), these Japanese releases are pinning their success on the nostalgia and loyal fandom generated by these old favourites. Like Hollywood, the Japanese blockbuster – space operas or otherwise – exists in a holding pattern that eschews risk. As such, it may be a while before we see another Warning From Space, Green Slime or Sayonara Jupiter. Some may argue that it's no great loss, as these films have less than stellar reputations. But, as this journey has hopefully illustrated, our view of popular Japanese visual culture wouldn't be the same without them. [ 8 ]. Honda would end his career the same way it started: working as an assistant director. He worked in this capacity for lifelong friend Akira Kurosawa on the films Kagemusha (1980), Ran (1985), Dreams (1990) and the latter's final work, Madadayo (1993). [ 10 ]. Indeed, The War in Space was originally announced as a sequel to Honda's Battle in Outer Space, so certain similarities are expected. [ 14 ]. Many countries ended up producing their own version(s) of Star Wars. Notable examples include Turkey's Dünyayı Kurtaran Adam (1982), better known simply as Turkish Star Wars, and Italy's Starcrash (1978). [ 19 ]. 19). "Real Robot" mecha differs from, say, "Super Robot" mecha as the former is often more grounded in real-word technology, and often lean towards overarching narratives that dwell on serious themes. [ 21 ]. The "Making Of Special" that accompanies the special features on Discotek Media's Sayonara Jupiter DVD reveals the "Jupiter Ghost" to be the mothership of an alien race, another element from Komatsu's book that gets short shrift in the film adaptation. [ 22 ]. The Japanese/American co-production Solar Crisis (1992) tried to bring the space movie back into vogue. Based on Takeshi Kawata's 1990 novel Crisis: Year 2050 and produced in the U.S., the hugely problematic, multimillion dollar project was quickly buried, getting the slimmest of theatrical releases.